I was first introduced to HAM (Harry and Mario), just off the Cronulla Mall, a few years ago. Back then it was a hipster café that was quite pokey and perhaps a little pretentious. Over the last month however, I've had the opportunity to revisit HAM and also my opinion of it. The owners of HAM, brothers Harry and Mario have gone with that industrial look that is so popular at the moment. Indoor greenery and blankets that you can wrap yourself in on a cold Winter's day help to soften the cold concrete floor and brick walls though. 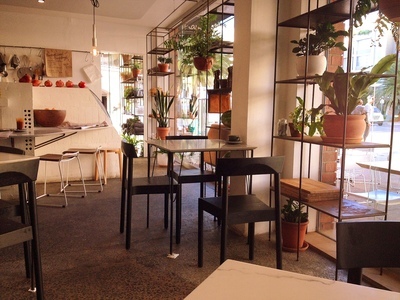 The café has two seating areas, the front with standard tables, and the back section where there is seating for larger groups. From the back you can also peer into the open kitchen which is entertaining, albeit a little loud at times. I visited the popular café for lunch with my sister and found that they had expanded the menu considerably - the previous menu seemed to be aimed at a small, niche market. When I walked into the establishment this time I was surprised by a big display case that catered to everyone's taste. 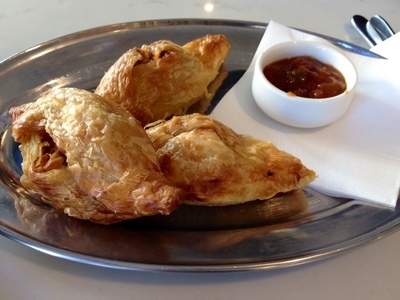 On this visit, we choose a homemade chicken and leek pie ($15.50) and a selection of 3 pastizzis ($3.90 each or $10.50). The pie, was in a word, incredible. I tend to be a little hesitant eating chicken at cafés and restaurants, but I am glad I gave this pie a try. I suspect that the pastry used is also homemade as it tastes so much better than most ready-made, bought pastries. The pie was so filling, I didn't touch any of the salad that accompanied it. 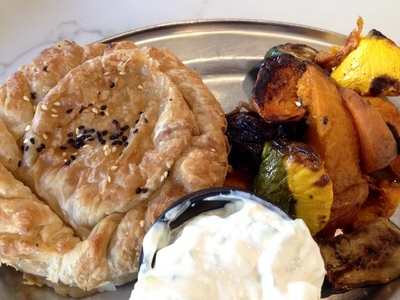 We also choose a selection of 3 pastizzis; two chicken and one spinach and feta. These were not as good as the pie, owing to the flaky pastry and lack of flavour in the chicken mince. Since then, I have only visited HAM for morning or afternoon tea, working my way through the vast selection of delicious treats. 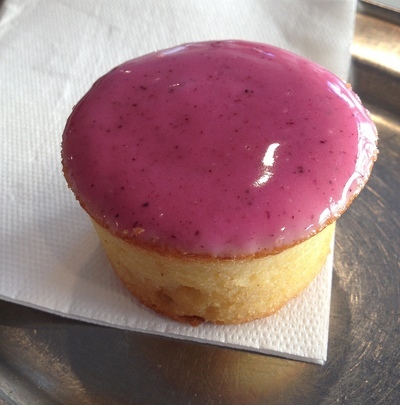 The cakes at HAM are all made on-site, using good quality ingredients. If you are looking for a little treat with your coffee, I would recommend the vanilla cupcake ($5.50) or the mini tea-cakes ($5.50). The icing for the vanilla cupcake was perfect in terms of taste and presentation, and the cake itself is light and fluffy. Of the tea cakes I have tried the berry and passionfruit ones, which were both lovely. My only gripe would be that the tea-cakes are stored in a refrigerated cabinet, and while this preserves their appearance, it does also make the cakes cold and dense. The treats are oh so sweet. On other occasions, I have sampled the salted caramel brownie ($5.50) and the carrot loaf cake ($6.50). These were both tasty enough, but quite heavy. The carrot cake, tasted more like a fruit and nut cake, which is not necessarily bad, just unexpected. This may also present a problem for those with nut allergies as you don't see the nuts until after it has been sliced. A chic conservatory for coffee. If you are more of a coffee nut, HAM's baristas are both well-trained and solely responsible for making strong, consistent coffee. The drinks menu at HAM spans over two pages - so there is always something different to try. During my many visits I have tried a chai latte ($4.50) and a chilled chai ($5.50), both of which were fine, though not as good as the coffee. Overall, I am glad I took the opportunity to revisit HAM. On each visit, I have received good customer service and have enjoyed the experience for what it is. They are fairly laid-back at HAM, though perhaps too laid-back on a few occasions (a kitten was once sitting inside with a couple, and a young girl was allowed to walk around on a deli counter). 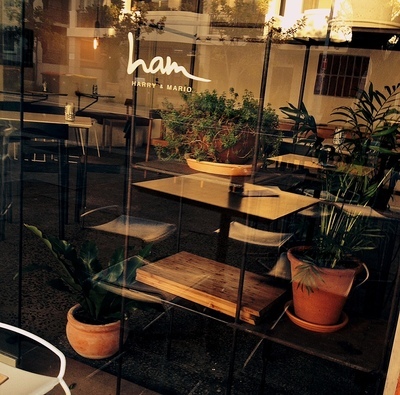 HAM is quite popular with Sutherland Shire locals, especially on the weekend, so I would recommend avoiding peak times so you don't miss out on a table or end up having to wait. Where: 3/17 Gerrale Street, Cronulla. When: Monday - Sunday: 7am-6pm.